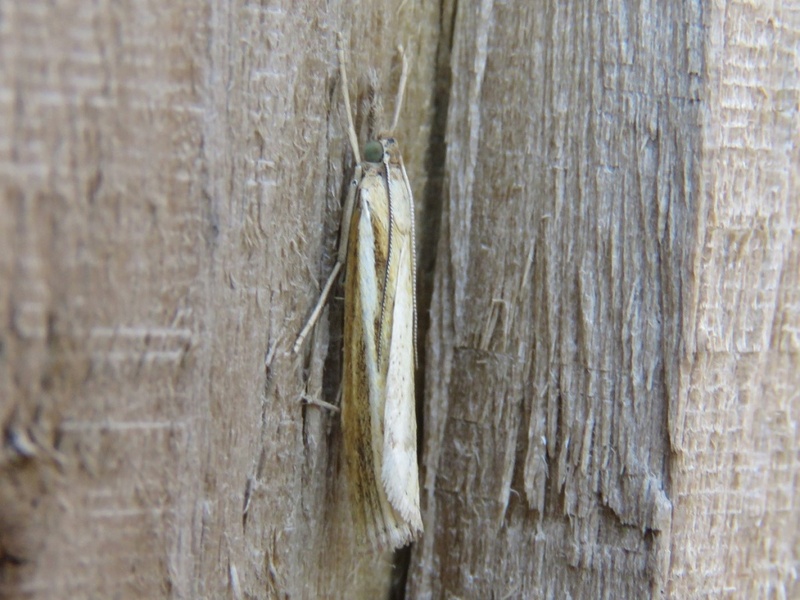 Wingspan around 26 mm. 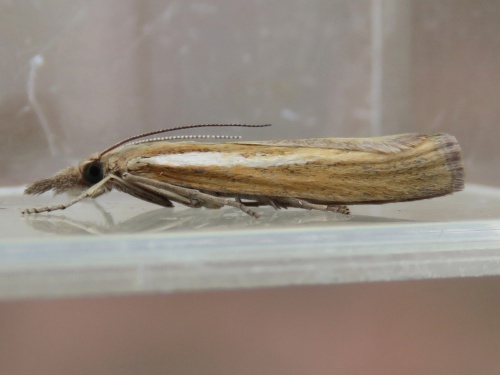 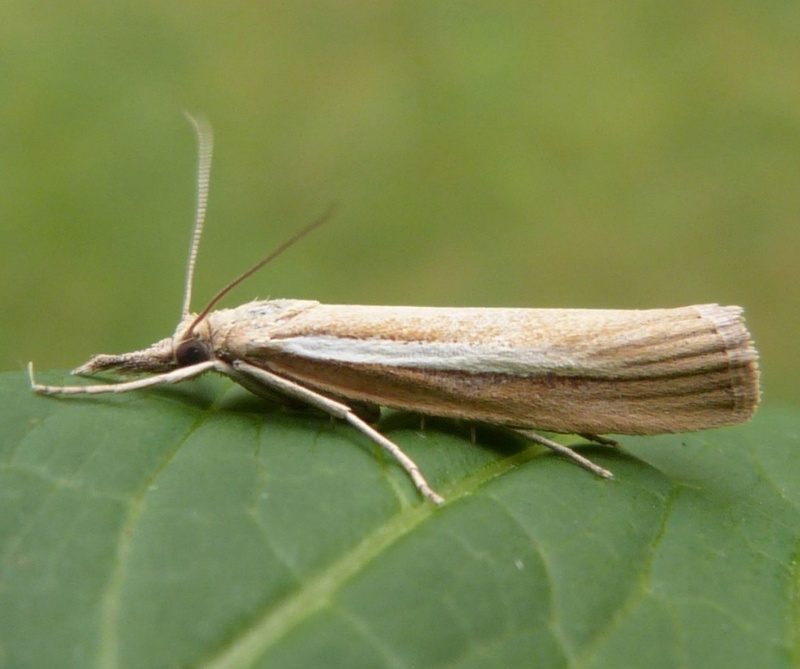 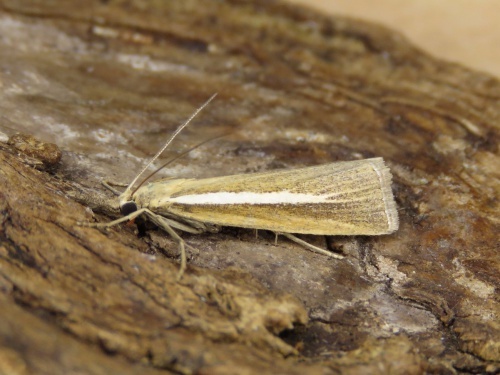 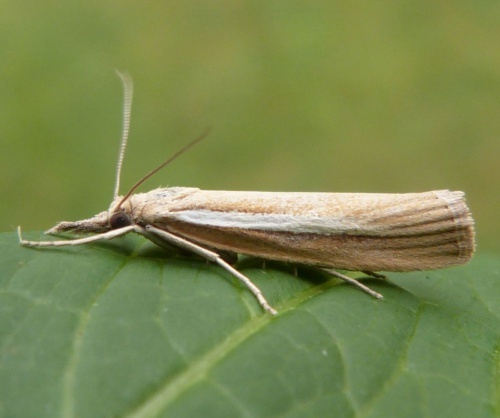 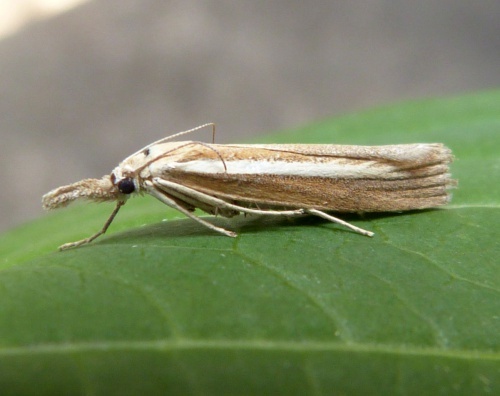 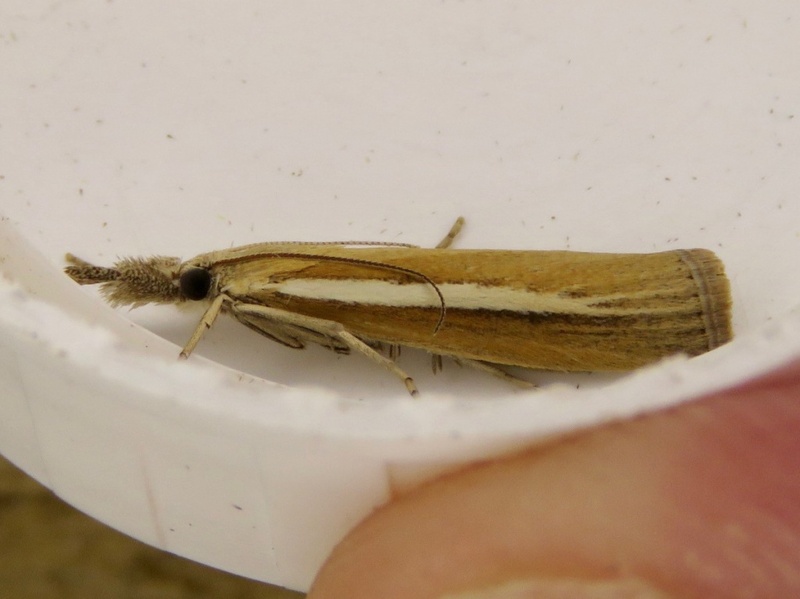 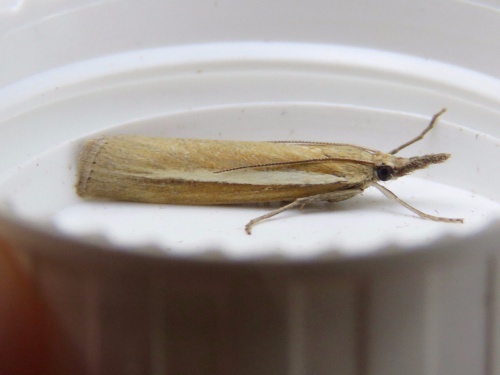 Although superficially resembling Agriphila tristella, this species has the forewing tip more squared, a much reduced facial cone and a whiter longitudinal streak which doesn't have quite such obvious 'fingers' at the rear. 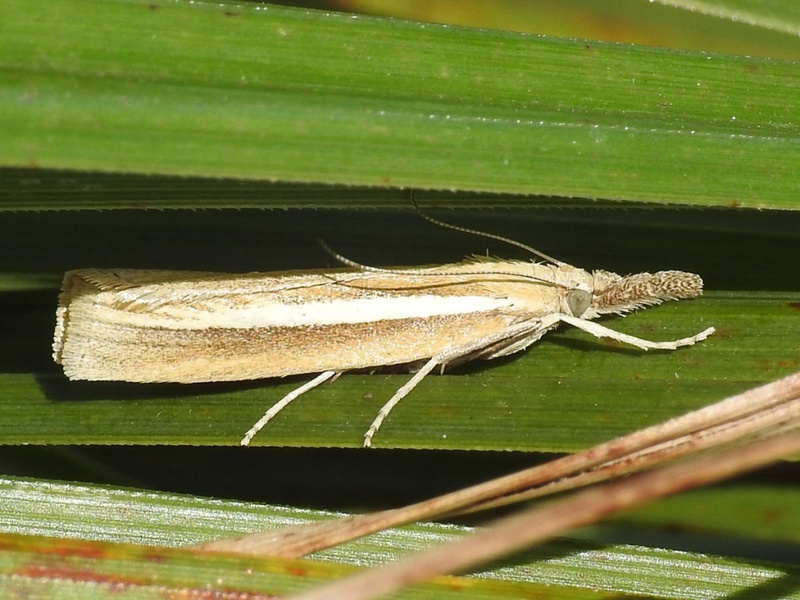 Often associated with coastal habitats, though not exclusively. 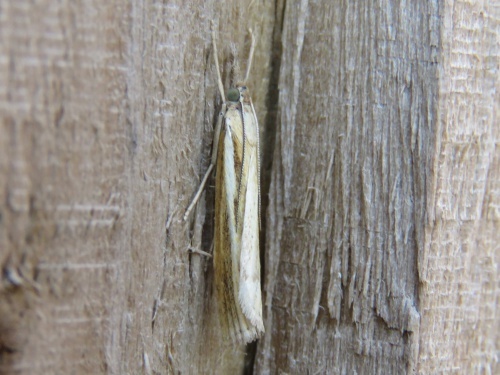 The flight period is July and August. 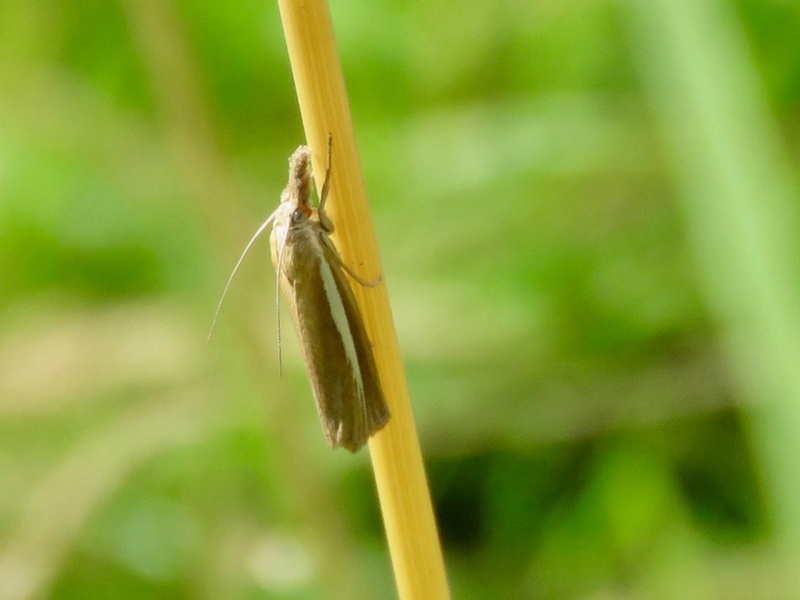 The larvae feed in a silken gallery on grasses, including Common Saltmarsh-grass and Sheep's-fescue. It is a local species, occurring in England, Wales, southern Scotland and Ireland. In the Butterfly Conservation’s Microlepidoptera Report 2011 this species was classified as local.